SIDHANATH HYDRAULICS is a professionally managed organization, engaged in the manufacturing and supplying of all types of Hydraulic Presses & Cylinders, etc. SIDHANATH HYDRAULICS is a professionally managed organization, engaged in the manufacturing and supplying of all types of Hydraulic Presses & Cylinders, Power Packs & Equipment, Control Panels, Non-Ferrous Metal Extrusion Presses, etc. Backed by the cutting-edge technology, we have been offering technically advanced Hydraulic and Extrusion Presses to various sectors. Manufactured from the optimum quality raw materials, our machines are a perfect blend of durability and performance. 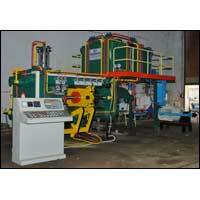 Adhering to strict quality norms, we design machines as per the national and international quality standards. 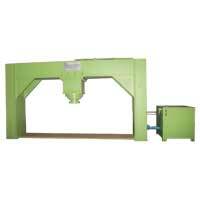 We also undertake Re-Conditioning & Maintenance of Hydraulic Presses. With an aim to minimize the cost and maximize the profit of the clients, we have been designing precise machines that are sure to meet the expectations of the clients. Easy operation, high performance and low maintenance are the features that add value to the business of clients. 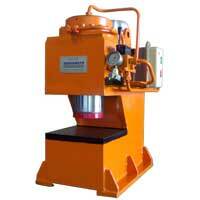 On the grounds of the optimum quality of machines, we have earned huge clientele, based all over India.